Time is running so fast, and the days are hectic again now that the long and lazy summer vacation is over. 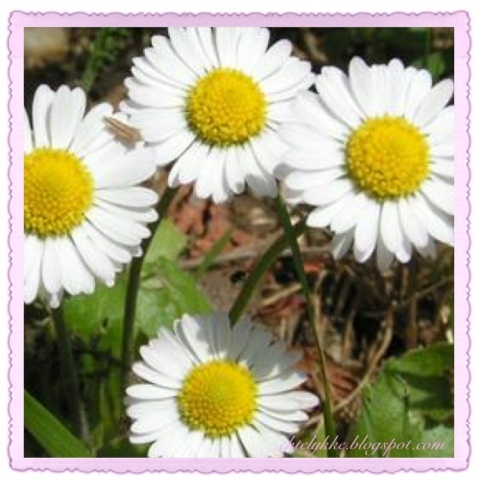 When I first discovered all the beautiful chrochet daisies out there in Blogland, I got so excited! 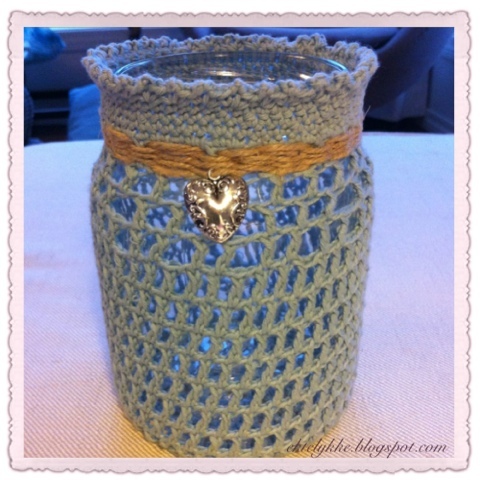 I searched around a bit for a tutorial, and the best I've found is this one from the Tillie Tulip blog. 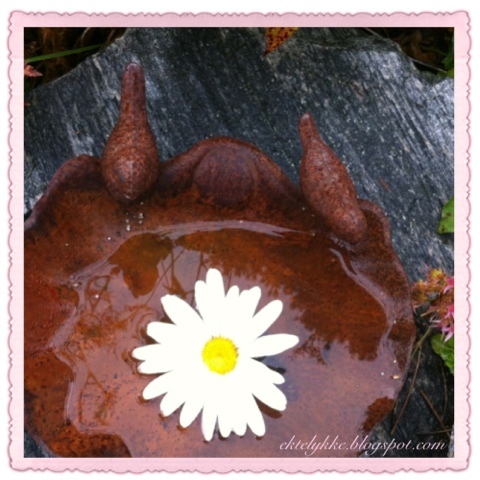 Nice photos and clear instructions, and her Daisy blankets are just amazing! One day I might be able to make a whole blanket with these cute, happy flowers...I just have to finish some of mye other BIG projects first...For now I have to settle for smaller projects like cushions, and I've already made a few. I have been knitting since I was 5 years old, and I love it. 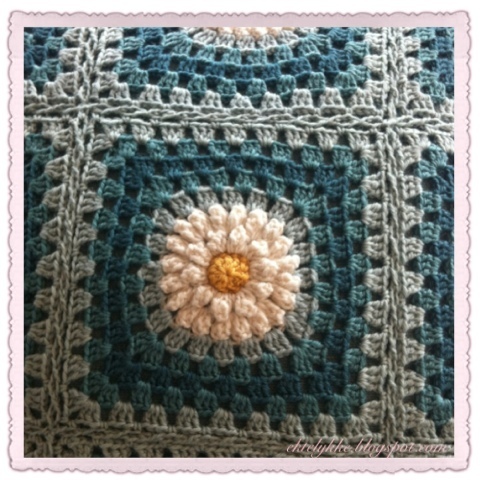 But when I started crocheting, it only took one grannysquare and I was " hooked". So now I'm trying to make everything at once - there are just sooo many wonderful things to make, and my mind is constantly working on new ideas to patterns and colour-combinations. 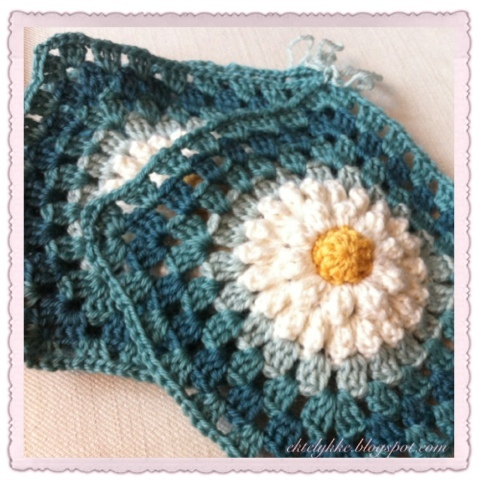 Anyway, back to the daisies...I absolutely LOVE this flower, and when I first found this lovely pattern at Tillie Tulip it just made my heart sing! After a few projects using this pattern, I started to experiment a little. 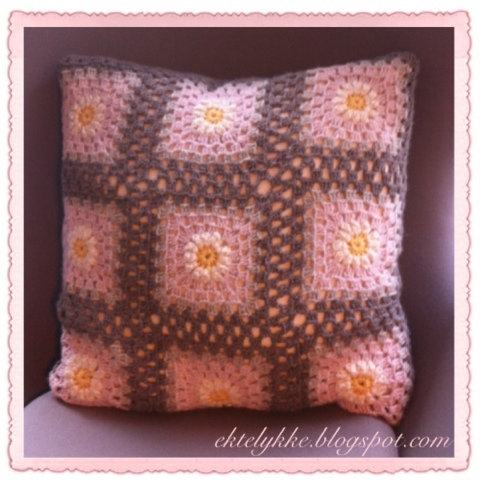 A dear friends birthday was coming up, and I wanted to make her a BIG cosy cushion. 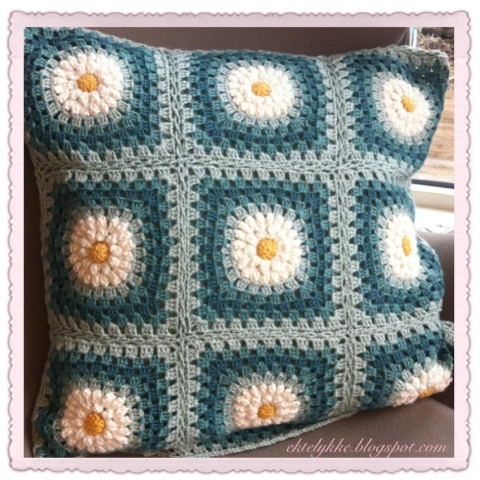 She is also definately a "Daisy-lover", so I wanted to make the flowers really big and bright on her cushion. After a few attempts, I came up with this version, which I call "The Double Daisy". I made the yellow centre bigger, and more 3D-like. It kind of pops out a bit, like it does on a real Daisy. I also added a second row of petals to make it bigger. I really like how the flower stands out, bold and beautiful! 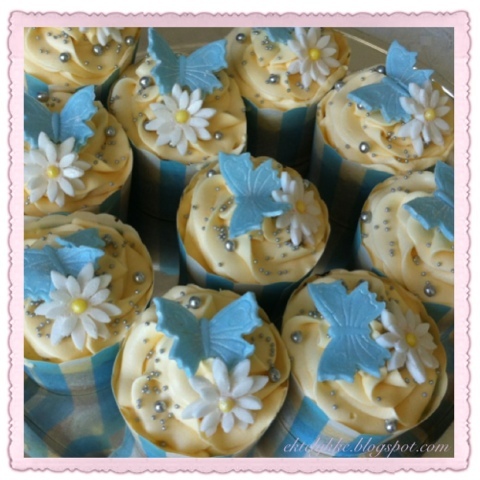 The colours were carefully chosen for my friend, and I think these aqua tones are really nice together with the white flower. 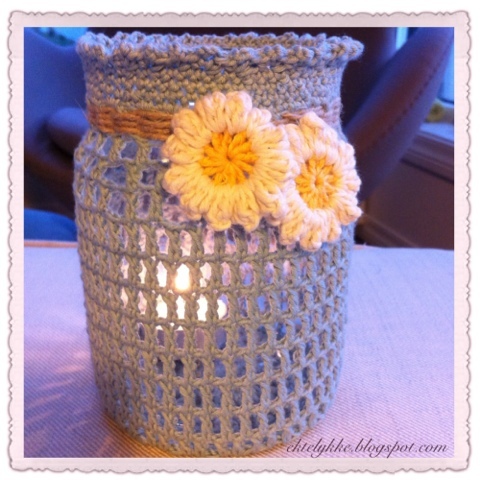 Here is how it came out all joined together with a light blue colour. 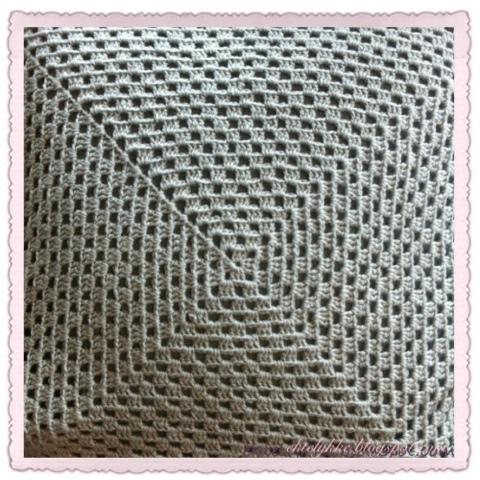 I really like the joining on this, it is the flat braid join which I also used on The Blue Meadow Cushion. 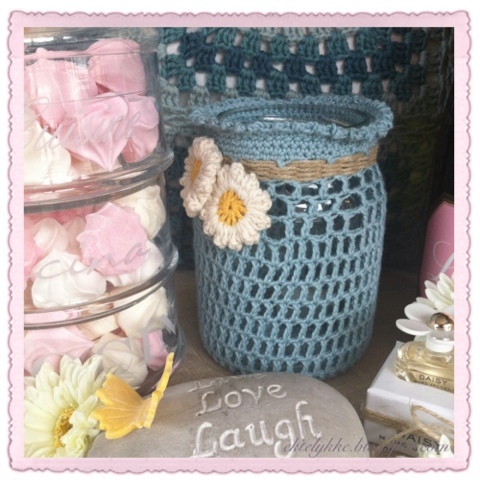 The back is made out of one big grannysquare in the light blue colour. With so much going on at the front, I wanted to make the back calmer and more neutral. 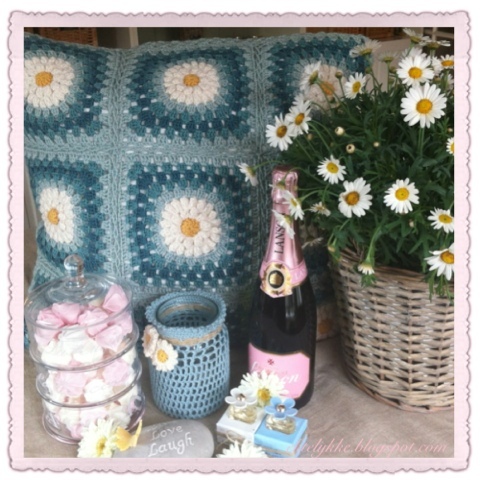 This cushion is part of a birthday present where every item had a special meaning to me and my friend, and since the Daisy played the leading role here, I also made a lantern with a couple of pretty daisies attached. Here is the whole ensemble together: Daisy cushion, Daisy lantern, pink champagne, lovely, sweet merengues, Marc Jacobs wonderful Daisy perfume and of course a big, wonderful REAL Daisy plant! 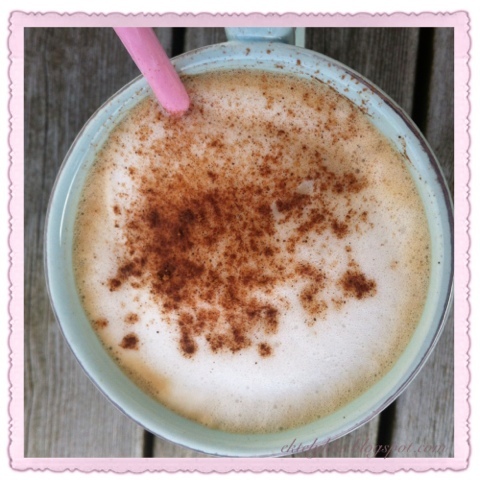 Pretty and really, really yummi! 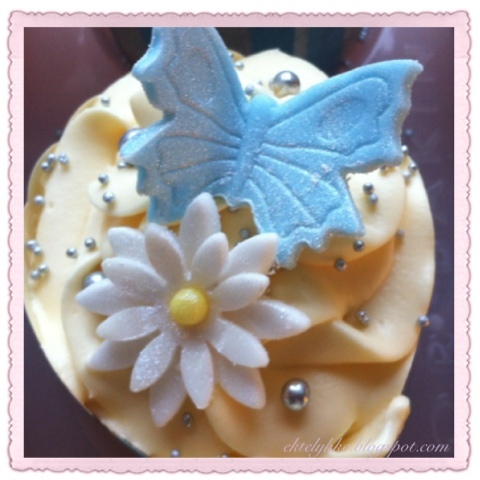 Labels: Baking, Cakes, Colours, Crochet, Cupcakes, Cushion, Flowers, Gifts, Ta-dah!